You are here: Home / Error Fix / Covenant not working on Kodi?? Fix the Issue Straight Away! The error usually pops up when you try to search for a title on Kodi, thereby preventing you to access your favourite video. In the recent time, we have observed that many are facing Kodi covenant not working error. The situation is quite critical and annoying at the same time which interrupts the smooth functioning of the search bar. 1 How to Fix Covenant Kodi not Working Problem? 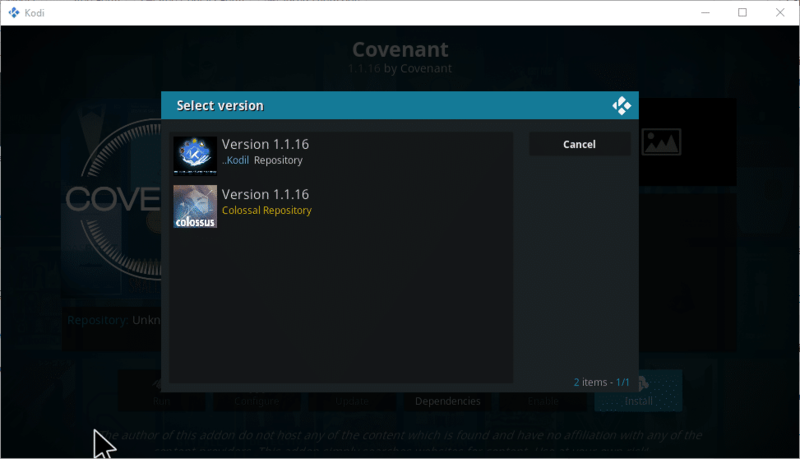 1.2 Why is Covenant on Kodi not working? How to Fix Covenant Kodi not Working Problem? Ever since Covenant became live, it has become the most popular extension. A new version has also come out to help you get the maximum from your screen. The error, we are discussing here hinders the flawless performance of Covenant. With this error in action, you can’t search for your favourite titles and play them. So for getting rid of it, you need to search for the perfect options. 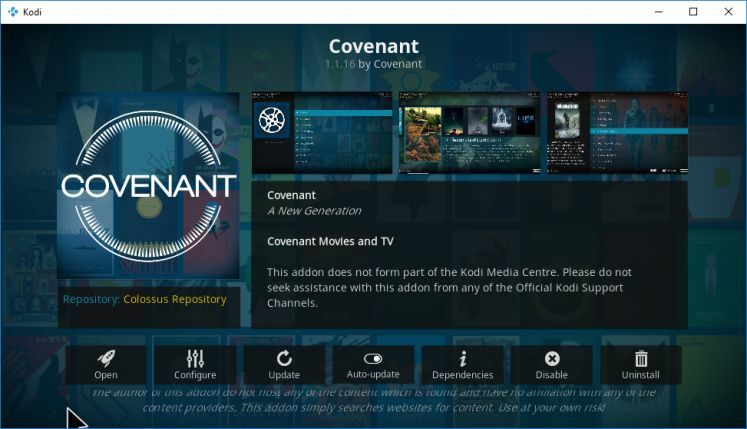 For all those who are looking for an ideal guide for fixing Covenant not working on Kodi issue, we are providing a few perfect solutions here. 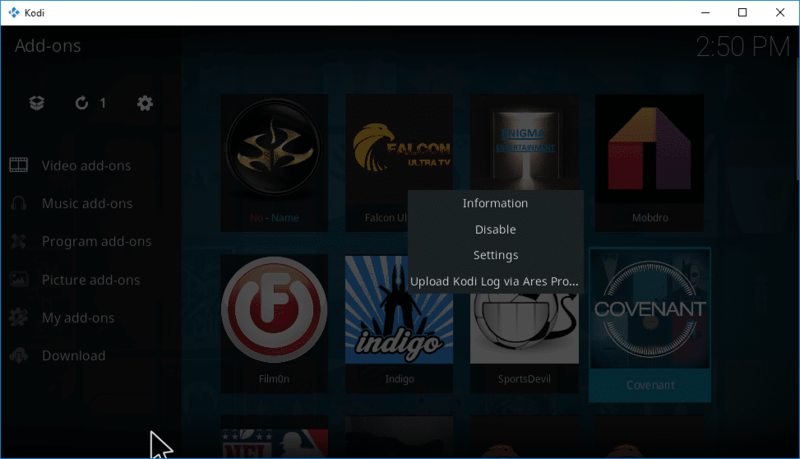 You can find a few methods to solve Covenant Kodi Addon issue below. Deleting and reinstalling is one of the best solutions to eliminate Covenant TV shows not working problem. Go to the add-on menu of your Kodi and then make a right click on Covenant to bring up the contextual menu. Once done; make a right click on the Covenant option to bring up the contextual menu. Just select the Information option from the menu and then proceed forward to uninstall covenant from your device. Select the uninstall option to remove the covenant option from your smartphone. On the successful completion of the above process; jump over the URL: http://mediarepos.net/tco/ and then press on the RepoColossus.zip file to download it on your device. 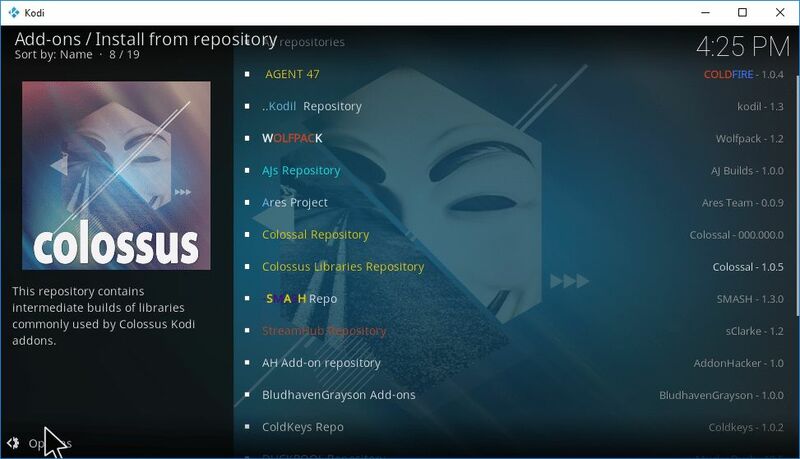 We advise you to go with Colossal as this Kodi repository comes up with different new versions. Once you complete this process, you can move on to the next step to get rid of Covenant for Kodi not working issue. 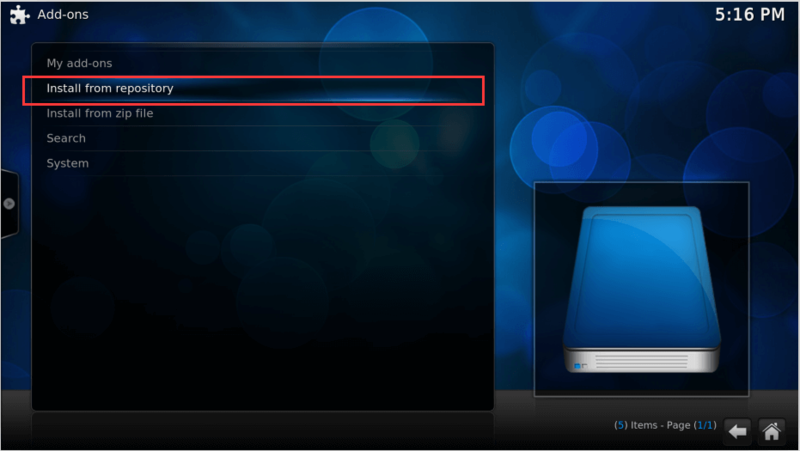 Now, go to the main menu of Kodi and then navigate to the option of Add-ons followed b box icon and then press on the possibility of Install from zip file. Once done; search for the option of RepoColossus.zip on your hard drive and then open it up. If you already have Colossus on your smartphone, you will view message indicating about the updation of Colossus repository. The next thing you need to do is to reinstall covenant on your smartphone again. For doing it successfully; you have to navigate to the option of Install from repository followed by Colossal Repository and then move towards the possibility of Video Add-ons. Next, go to the Covenant option and then select the Install option to complete the process successfully. In case if you are having different repositories added on your Kodi; you will have to opt for only one here. Just select the Colossus option to complete the reinstallation process. On the successful completion of the installation process; check your Kodi; error covenant streams not working will undoubtedly have been resolved and if not just check out for another method given below. The reason for facing the error covenant not working 2018 even after following the above process is undoubtedly not the Colossus, but Kodi itself. With time, Kodi becomes unstable and you will have to go for a clean install. The process for different platforms are given below. Go to your Finder and then search for Applications folder. Click on Kodi and then select the option of Move to Trash. Open the library of your device; click on the Go option along with holding down the Option key simultaneously. Press library > Application Support and then delete the Kodi folder. Next, open your web browser and search for the option of http://kodi.tv/download for downloading and installing the latest version of Kodi on your handset. Follow the steps given below to solve Covenant on Firestick not loading. Go to the Programs option of your device and then move forward with the Add or remove programs option from the Start menu. Just opt for the Uninstall Kodi option. Open your Explorer and then make a copy paste %appdata% into the navigation bar. Once done; scroll down to Kodi and delete it. Go to the URL: http://kodi.tv/download to get it back on your Windows operating system. Android devices do not need any extra requirements to go on. All you need to do is to delete and reinstall Kodi app from Google Play Store; that’s it. Why is Covenant on Kodi not working? SD quality videos available at website source. Broken stream links may be another reason. Bandwidth throttling may also serve as one of the other reasons behind error covenant on Kodi not working. This annoying error may also cause due to the improper functioning of Trakt. You can use the following AddOns as the best alternatives to Covenant on Kodi. You know it is the best AddOns available. Due to the nature of the platform, even the best encounters some issues. We have provided a few methods to solve Kodi Covenant not working problem above.